Information security is an essential enabler for the protection of privacy and personal data. Moreover, most organisations must deal with an ever-changing landscape affecting their operations. Uncertainties created by such changes will affect how the organisation needs to react in order to ensure that its information assets are suitably protected. 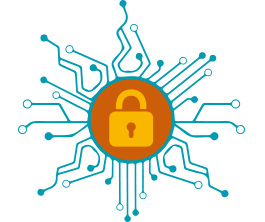 Therefore, there is a need for a specific framework that helps individuals responsible for information security to manage the uncertainties which might affect the security of their organisation's information over time. Such a framework for a specific organisation is referred to as Information Security Risk Management process. There are three generally accepted elements to properly secure information. Availability: the information is available when needed. EDPS Opinion on the proposal of the European Parliament and of the Council on the re-use of the public sector information (PSI). In his Guidance on Information Security Risk Management published today, the European Data Protection Supervisor (EDPS) advises EU institutions on how to ensure a secure and trustworthy digital environment for the information that is essential for the functioning of their services. Europe needs to be at the forefront in shaping a global, digital standard for privacy and data protection which centres on the rights of the individual, said the new European Data Protection Supervisor (EDPS) today. Speaking on the occasion of Data Protection Day, Mr. Giovanni Buttarelli encouraged the European Union (EU) to lead by example as a beacon of respect for digital rights. EU institutions are better at complying with data protection rules and privacy principles than ever before. This is the overall message of the EDPS report on his latest general stocktaking exercise, published today.